Economically empowering women is essential both to realize women’s rights and to achieve broader development goals such as economic growth, poverty reduction, health, education and welfare. But women’s economic empowerment is a multifaceted concept so how can practitioners, researchers and donors design effective, measurable interventions? 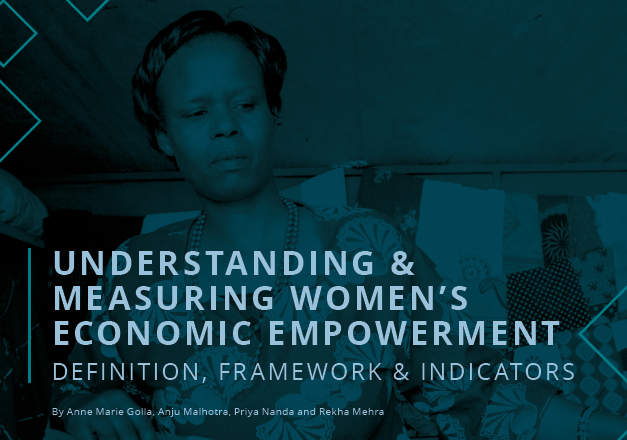 This brief report lays out fundamental concepts including a definition of women’s economic empowerment; a measurement framework that can guide the design, implementation and evaluation of programs to economically empower women; and a set of illustrative indicators that can serve as concrete examples for developing meaningful metrics for success.